Little shell-shaped cakes, madeleines are a classic French treat to serve with tea. 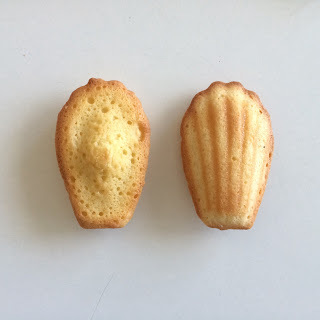 Marcel Proust immortalized the madeleine in a famous passage of his novel Remembrance of Things Past: "squat, plump little cakes called 'petites madeleines,' which look as though they had been moulded in the fluted valve of a scallop shell." But don't be intimidated by the literary pedigree. The elegant look and rich, buttery flavor belies a simple preparation. Madeleines are so simple to prepare that even beginning bakers can produce perfect results. I followed David Leibovitz' recipe, except for replacing regular honey and vanilla with lavender honey - which gives the madeleines a delicate floral flavor. The fresh-baked aroma is as amazing as the taste! 1.) 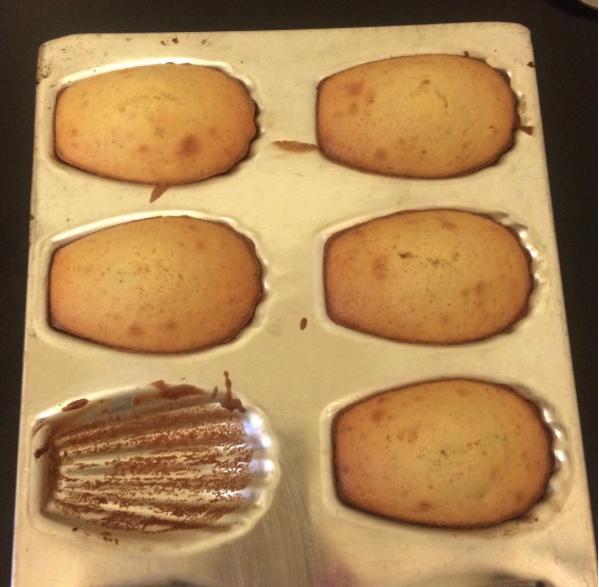 Butter your madeleine pan (or instead use a silicone madeleine mold) and preheat oven to 325 degrees Fahrenheit. 2.) Melt butter in a saucepan over low heat. Remove from heat and mix in the honey. Allow to cool down. 3.) In a small bowl, combine flour, baking powder and salt. 4.) In a large bowl, whisk the eggs and sugar until the mixture turns light yellow and doubles in volume (about 3 to 5 minute with a stand mixer on high speed). 5.) Pour the honey and butter mixture into the egg mixture. 6.) Finally add the flour, little by little, using a spatula. 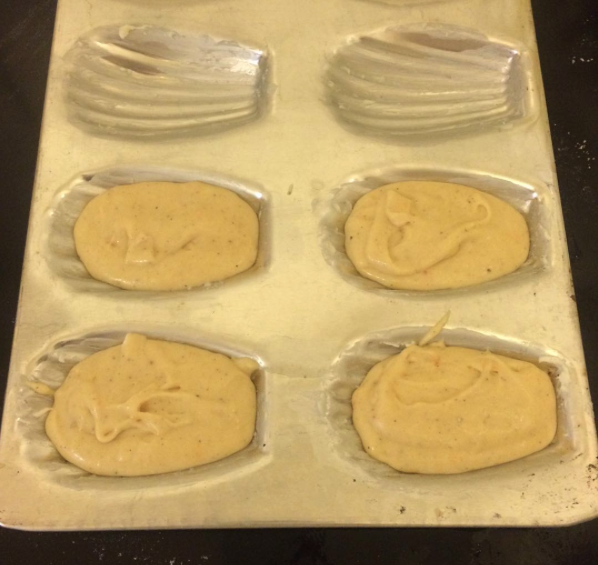 Stir gently until the flour is incorporated and the batter is smooth. 7.) Spoon the batter into the madeleine molds; fill each indentation of the mold three-quarters full. 8.) Bake for 8 to 10 minutes until the madeleine exteriors are golden brown and the center of each madeleine feels springy. 9.) Remove the pan from the oven, allow to cool for about a minute and then flip the pan to release the madeleines onto a cooling rack. 10.) Enjoy fresh out of the oven or the same day that they were baked.